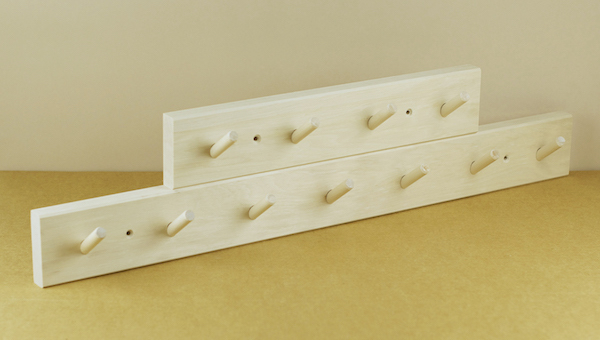 A simple four peg hanging rack made of slow growing and sustainably sourced baltic birch in the workshops of Iris Hantverk, where in excess of 30 visually impaired craftsmen find skilled employment in the hand manufacture of brushes and other well considered household moveables. 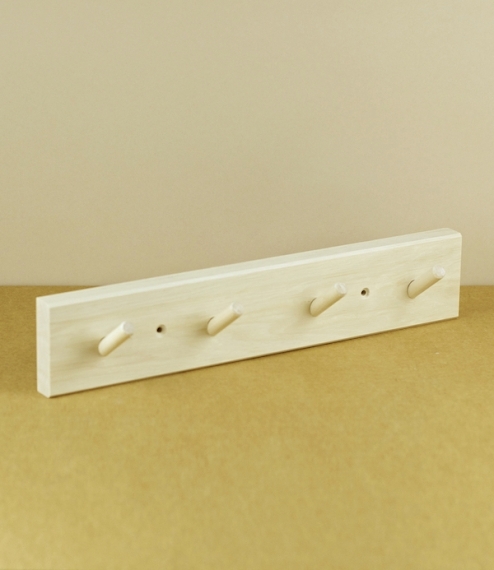 Useful as a small coat rack, or for the storage of kitchen utensils, towels, or tools. 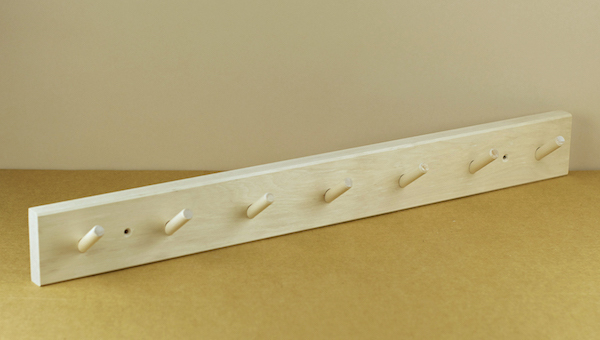 About 39cm long by 7.5cm in height.